Just finished it, I was in kind of slump so it was skim reading…I will not post a review of it as It won’t be fair. It is really getting better…. Great book choices. Glad you are carry on with the Harry Potter series. My husband and I just finished re-watching all the HP movies, now I need to re-read them all! In Another Life is coming up on my TBR as well! I love the HP series! I’ve reread so many times I’ve lost count, lol. And I’m about to read the 1st one soon with my almost 9 year old, so I guess I’ll be rereading again if she likes them! I enjoyed Dan Brown’s books (haven’t read the last 2), but I do remember it being very long and liking the next one better! Happy reading! I think she will! Origin is the one that I need to read next and I really enjoyed Angels and Demons. 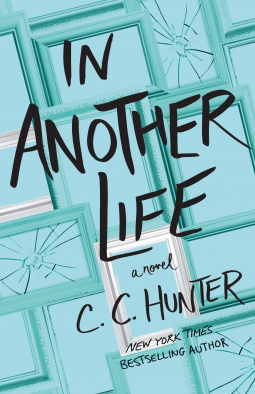 I have an arc of In Another Life and it’s so hard to not read now! It is a quick read. I’m going to try and hold out until the end of next month, but I know I probably wont lol! Great post book slumps are the worst I hope you get out from your book slump with an amazing read, thank you so much for sharing your awesome post.